Sometimes it just happens that you feel the need take a quick trip to some exciting ski slopes over the weekend. However, you may feel that the task of organizing the trip at short notice is going to be too tough to get done on time. Thankfully, it is far easier to organise an impromptu ski weekend getaway than you might think. So how will you do it? The first step is one of the most important, as you will want to pick a destination that is great for skiing and that is also easy to get to. For instance, if you are traveling from the UK then many of the top French Alps ski resorts can be easily reached on a short flight and then a transfer of two hours or less. This means that classy and exciting places such as Chamonix, Les Gets and Meribel are all possibilities for a short and sweet ski trip. Even if you are very short on time and need to dash off to the airport straight from work, you will soon be relaxing in an Alpine bar or restaurant and feeling the stress just melt away. Obviously, the traveling time varies from one resort to another, so you will want to do some research and find out which destination suits you best. As well as this, it is wise to see what type of atmosphere is on offer at the different places you are considering going to. Some ski resorts are famous for a buzzing nightlife while others are more family-oriented, so you will want to choose one that fits your expectation levels for the weekend ahead. In addition, some resorts are better for learner skiers and others are more suited to experts. The next question to ask yourself is around what you want to get out of this weekend away. Do you want to relax after a stressful time at work, to get a healthy break or to enjoy a wild time partying? As we have already seen, different resorts offer completely different experiences but it doesn’t just come down to where you go to. There is also the fact that you will want to get into the right frame of mind for the trip and all that it involves. This is something that you can start even before your feet first touch the snow. For example, if you are leaving straight from work on Friday then you can get into the right frame of mind on your way to the airport or on the plane. This could involve listening to some music, reading about your destination or just closing your eyes and relaxing. By doing this you will arrive to your chosen resort feeling on top of the world and raring to go. It is no surprise to learn that you can expect it to be cold no matter what ski resort you go to. This can make for a wonderfully refreshing break that really blows the cobwebs away. Having said that, you will also want to get well prepared to deal with the chilliness of the place, especially if it a high altitude destination. This means choosing the right clothing in order to stay warmly wrapped up. 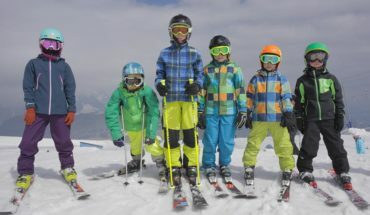 You will find a range of ski clothing gear stores in the best ski towns but perhaps you won’t want to spend too much time running round looking for new garments once your get there on a quick break. It probably makes a lot more sense to get away fully prepared with everything you need already bought and ready to use. 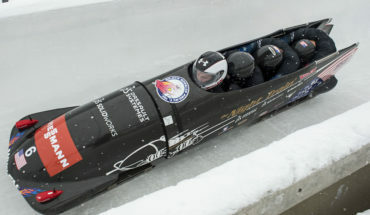 A warm jacket, a thermal vest, ski pants, gloves and a hat are among the most basic items you need. 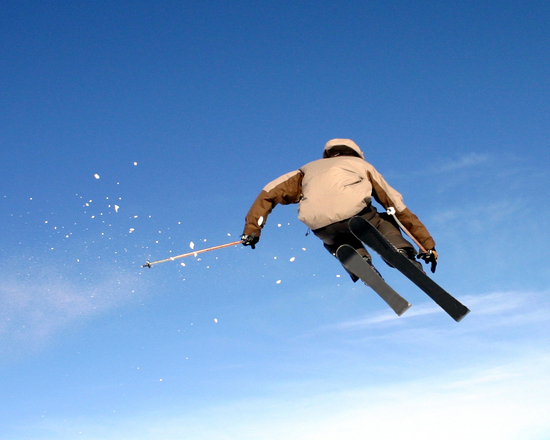 If this is your first skiing trip then you will really start to feel the part once you have the right clothes. Don’t forget you après ski gear as well? It feels good to head out for a few drinks wearing warm but stylish clothing. Another important point to remember is that a short skiing break is something that can be enjoyed while traveling alone or with company. Are you wanting to get away from it all on your own or would you like some company while out are having the time of your life on the slopes? Some of the best resorts in the French Alps are wonderful romantic destinations to head to with the special person in your life for short ski breaks. Among these, we could count the likes of Courchevel and Chamonix, which are pretty towns with a lovely romantic feel to them. They also offer numerous quality restaurants where you can enjoy great meals together while chatting about the day’s skiing adventures. 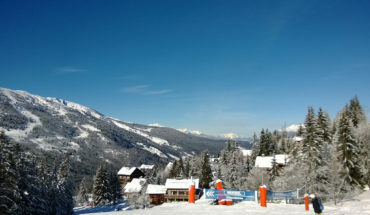 If it is a family trip with kids you are planning then places such as La Tania and Les Gets are perfect. The kids will have a whale of a time here, as will the grownups too. These ski resorts typically have more child friendly attractions and restaurants that are right for family groups. Wouldn’t you love to see their faces light up when they realise that this is a place where they can do some many amazing things? On the other hand, if you are going to invite some friends along for a bit of a party then a lively ski town such as brilliant Morzine could be your best choice. The numerous bars and clubs here make it the kind of spot where you can all let your hair down in style. These are all excellent ways of getting away on a weekend skiing break and it just comes down to your current situation and what you want from the trip. Make the right decisions for the right reasons and you are in for the trip of a lifetime. Maybe this final point is the most important of all. After all, you don’t want to get the rest of the trip organised perfectly only to get distracted by a ringing phone or some other distraction while you are there. A classy ski resort high in the French Alps is pretty much the perfect place to get away from it all if that is what you need right now. Wouldn’t it be fantastic to forget about work and home problems for a couple of day? Could you face the prospect of leaving your phone, mobile and tablet all at home while you do this? If you can do this then you can completely relax and enjoy your time there while fully focussing on skiing and having fun. If you feel that you must take some technology away with you then you should ensure that everyone knows that you are on a break and don’t want to be disturbed. Of course, to really do this well you should get up to date on everything at work and not leave behind any loose ends that people might need to phone you about. By getting organized in the right away and thinking about the most important points you can make sure that your weekend skiing trip is something that you will remember fondly for a very long time.